When is it a good time to hire an outside professional? More often than you might think. You are probably really good at what you do in your career (or you should be doing something else). Even though you are an expert in your field, there are several things that go on in any business that are outside your area of expertise. Since you’re reading this newsletter from Red Wing Software, I think it’s safe to assume you have some role that includes dealing with financial information. You might enter checks, record deposits, calculate payroll, or take a big picture view of the business using reports to analyze where the business should go. And, in some cases, you may be responsible for all of these things. Even if you have a firm grasp on all financial functions in your company, it never hurts to get someone from outside the organization to review the information and give an opinion, or even audit how things are being done. I’ve mentioned in several columns that I believe if we think everything we do is being done the right or only way, we probably won’t make needed changes and grow the business or our own knowledge. I’ll share an example of how Red Wing Software employs outside professionals. Although we have been producing accounting and other financial management software for 38 years and have many people with vast knowledge of accounting processes, employ our own in-house accountant, and have Certified Public Accountants on staff, every year we have an outside accounting firm perform an audit of our records and give their opinion, and have them prepare our corporate tax returns. It never hurts to have an outside professional come in to your business and help it grow. Laura Flory of Hillside Farm, a Red Wing Software customer, writes for Progressive Dairyman. She recently shared a touching story of her daughter’s first smile, while on a walk to see the cows. See the story here: A time for everything: A dairywoman’s transition from farmer to farm mom. SunBurst Dairy, a Red Wing Software customer, was featured in the story: Variety of factors help SunBurst Dairy achieve 36 percent preg rate, in the December 24th issue of Dairy Star. In the story, Yogi Brown details how they achieve their success. Click Here to read the whole story. I often write and talk about the great people we have working at Red Wing Software, and how long many of them have been with the company. Of course, when you have the kind of dedicated, long-tenured people we have, they eventually think they have earned the right to retire. Greg, one of our Senior Support Specialists, after 20 years with us, has rightfully earned his place among the retired. Even though Greg will no longer be blessing us and our customers with his presence in the office, he will certainly not be slowing down. Greg has been a go-to person on our support team with his vast knowledge of our products, and especially payroll processes and requirements. I’m sure many of you have talked to Greg over the years, and really appreciate his ability to answer any question you have without even thinking about it. Greg was thoughtful enough to give us many months’ notice of his retirement to prepare us for his absence. After February 3rd, when you call for help, and Greg is not available, you will have the opportunity to learn what a great job Greg did of passing his expertise on to the rest of our excellent support team. We at Red Wing Software, as well as our customers will certainly miss Greg’s knowledge, but even more important, we will miss having Greg around. We were fortunate to have Greg as a member of our team for so many years, and we wish him the best in his new adventures. 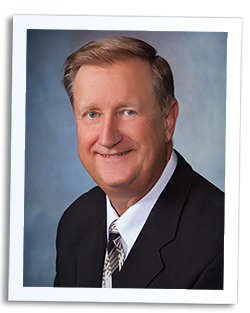 Greg Lahaie is retiring from Red Wing Software this week. You’ve most likely spoken to Greg if you’ve called our support team in the last 20 years. Greg has been employed with Red Wing Software since 1994, was away for a couple of years, and has been back since 2000. 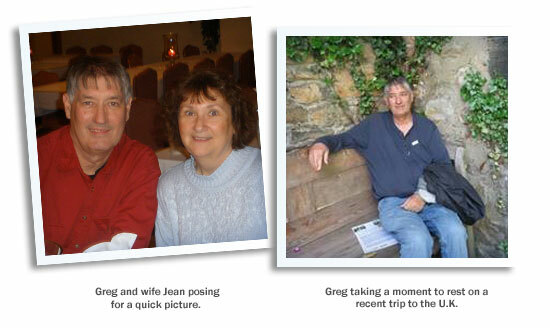 Greg and his wife, Jean, have been married for 42 years. They have three children that live in England, Virginia and Minnesota, and five grandchildren. Their grandchildren keep them busy watching their softball and soccer games, going to concerts, etc. They also love to travel. Having traveled to all 50 states, over 30 countries, and four of the seven continents, Greg is our go to person if we have a travel question. Retirement plans include traveling to more national parks and monuments and convincing his wife to go to Antarctica. They will continue to be Minnesota Twins season ticket holders and will go watch them in different cities to add to the 11 they have seen them at so far. Grandkids, reading, riding bicycles, occasionally playing golf, and fishing will fill in the rest of the time. We’ve tried many different ways to get Greg to come in and work occasionally or even provide his cell number to call so we can ask him questions, but so far he hasn’t agreed. We will miss his professional expertise and his friendship. Hopefully he will have some free time to stop in or go to lunch. Best wishes in your retirement Greg!